Diane Tellier L.M.T. has been doing body work for 17 years. Modalities can be combined during your time with Diane. Using overhead bars for balance, this entire massage is performed with feet. Soothing strokes and deep pressure milk the muscles and release toxins to induce deep relaxation. This is perfect for people who love deep tissue work or can’t seem to find a therapist to do deep enough work for them. A short video of Diane doing Ashiatsu Oriental Bar therapy. http://www.youtube.com/watch?v=GmYdH-fRk94 About.com video about Ashiatsu Oriental Bar Therapy. CranioSacral Therapy (CST) is a gentle, hands-on approach that releases tensions deep in the body to relieve pain and dysfunction and improve whole-body health and performance. It was pioneered and developed by Osteopathic Physician John E. Upledger after years of clinical testing and research at Michigan State University where he served as professor of biomechanics. Using a soft touch which is generally no greater than 5 grams – about the weight of a nickel – practitioners release restrictions in the soft tissues that surround the central nervous system. CST is increasingly used as a preventive health measure for its ability to bolster resistance to disease, and it”s effective for a wide range of medical problems associated with pain and dysfunction. The subconscious mind is open to suggestion during a massage. Ask, Diane is Happy to tell you great stories, and guide meditation during your massage. SomatoEmotional Release (SER) is a therapeutic process that helps rid the mind and body of residual effects of past trauma associated with negative experiences. Joint research efforts by Dr. John Upledger and biophysicist Dr. Zvi Karni led to the discovery that the body often retains (rather than dissipates) physical forces, and often the accompanying emotional energy, triggered by physiological, psychological, emotional or spiritual trauma. As the body heals, it can isolate or wall off, this energy into what is called an “energy cyst”. Although a body can initially adapt to the presence of this “energy cyst”, eventually the body weakens or tires of this accommodation and can develop symptoms of pain, dysfunction or emotional stress in response. The goal of an SER session is a comfortable holistic mind-body approach to dissipate the residual effects of past trauma and negative emotional experiences from the mind, body, and spirit and to gain insight as to how that held trauma is influencing their physical and emotional health. The SomatoEmotional Release process requires sensitivity and expertise on the part of the therapist and a positive attitude and trust from the client. Several therapists on our staff have had advanced training in CranioSacral Therapy and SomatoEmotional Release and are prepared to help guide the client through the process of more deeply understanding and releasing emotional trauma which might include: violent assaults; warfare; sexual, emotional or physical abuse, post-traumatic stress disorder (PTSD), childhood traumas, traumatic relationship issues, and others. Diane is a Reiki Master Teacher of Usui and Karuna Reiki, and taught Reiki at both privately and at Holyoke Community College for 14 years. Diane did her advanced hypnosis training with the National Guild of Hypnotherapists, and Past Life Regression training with Henry Leo Bulduc, and Roger Woolger. She also did the PLR teacher training with Henry Leo Bulduc. Shamanism and Soul Retrieval have been around for better than 40,000 years. Both have been practiced by healers of most every indigenous culture on the planet. These ancient peoples understood what our modern culture has forgotten. There is more to healing and health than just the physical. There are, in fact, four levels of our being that must be addressed in order for us to enjoy balanced and healthy lives. And also a 2 year apprenticeship with a Cherokee Grandfather RainbowFox. Integrated Energy Therapy® (IET®) is one of the next generation – hands on – power energy therapy systems that get the “issues out of your tissues” for good! Developed at the Center of Being, by Stevan J. Thayer, IET uses the violet angelic energy ray, as brought to us through the nine Healing Angels of the Energy Field, to work directly with your 12-Strand Spiritual DNA. IET supports you in safely and gently releasing limiting energy patterns of your past, empowering and balancing your life in the present, and helps you to reach for the stars as you evolve into your future. We chose the term “Integrated” in our name to convey our healing vision of “integrating the pain of the past, into the power of the present, to bring about the joy of the future”. We have been privileged to see Integrated Energy Therapy live up to this vision. 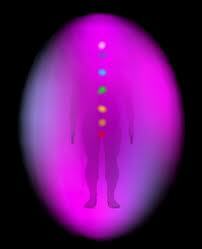 For 7 years Diane did Aura Readings with a Inneractive Aura Camera, that worked with BioFeedback. It showed the aura and chakras on a computer screen. Diane also makes Gemstone Jewelry and Body Care products. The Place for massage and yoga is conveniently located at 755 Grattan Street, Chicopee, Ma.